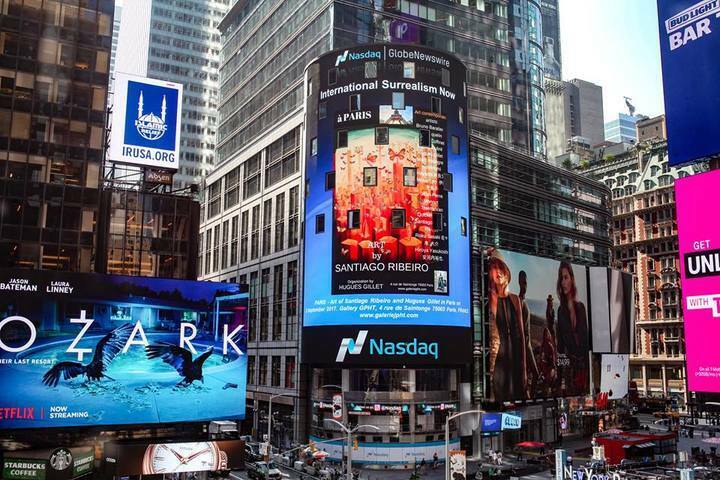 Santiago Ribeiro visual art and its power on Times Square giants screens in New York city. Images of Flying in a dream implies freedom and possibilities through fantasy. The wings spread and the embracing arms stretch wide, flying through the buildings, mountains and valleys, sea and rivers. 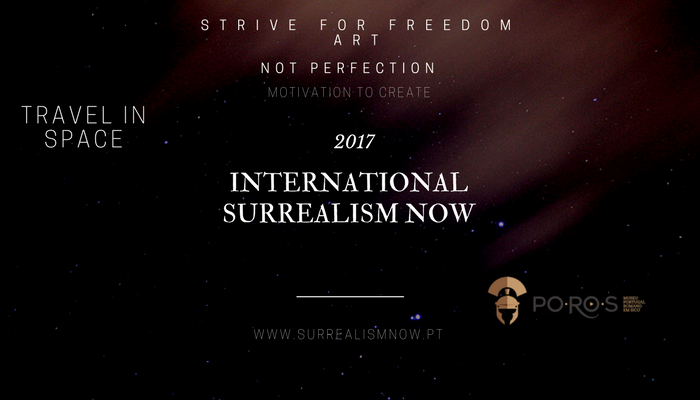 Understanding surrealism of the 20th and 21st century opens our awareness to an absolute freedom. 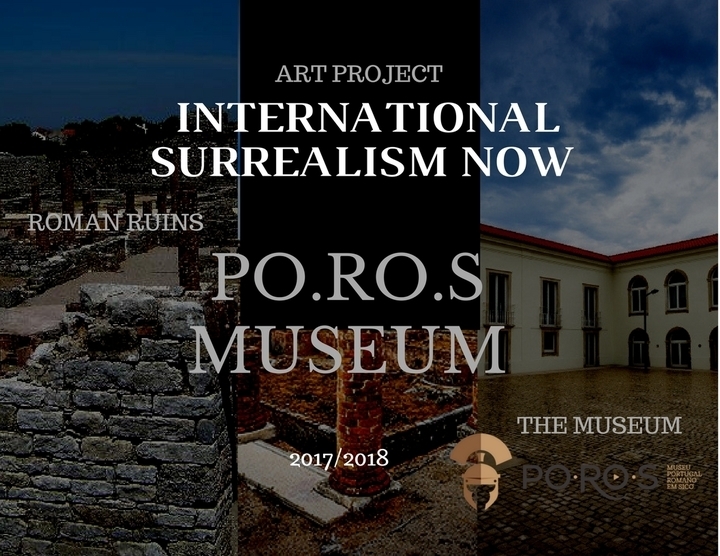 So the dream, the creative and ideological freedom and courage of the artists combined with the modern advent of the internet broad inserts the surrealistic art of 21st century and its insightful psychological meaning into the World. 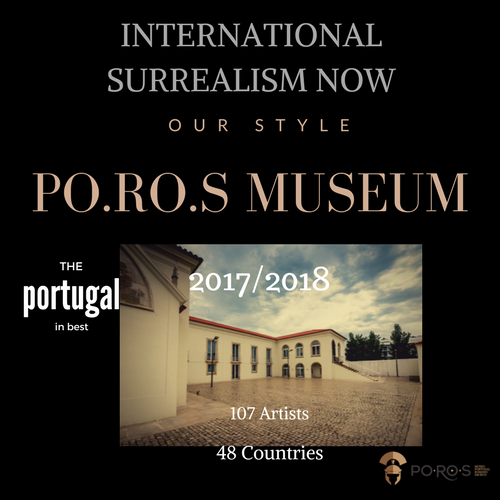 Curated works from 107 artists representing 48 countries will be on display with International Surrealism Now exhibition at Multimedia PO.RO.S Museum in Condeixa-a-Nova village in Portugal next winter.